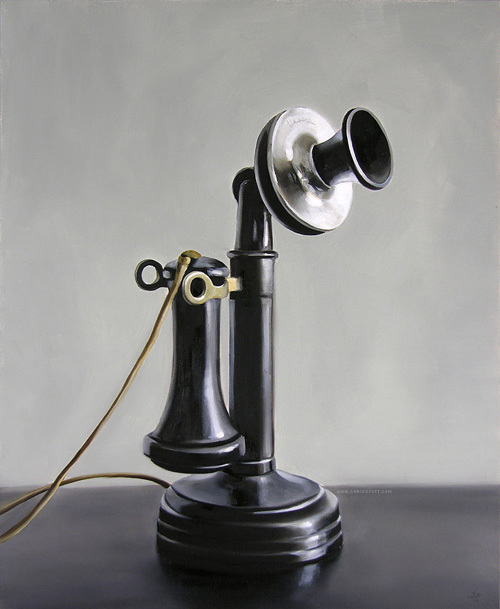 Having grown up with landlines, I really can't imagine life without them; I've always considered them my connection with the outside world. But, is that something I can do without? I'm not talking about the outside world; I, as well as many of you out there, certainly need a connection to it. Do we really need the landline? For the last year and a half I've been conducting an experiment: to see if I can actually live without my landline. I haven't answered my landline during that entire period of time. Yes, you carpet cleaners, who are always going to be in my neighborhood tomorrow (how convenient), now you know why you haven't been able to beg and plead with me for the last 18 months to have you come into my house, and clean the stains out of my carpets. First of all, my carpets have no stains. HA HA. In a year and a half I haven't missed anyone. I've come to the conclusion relying solely on my mobile phone will be just fine. I can save about $500 a year if I simply pull the plug; so, that's exactly what I'm going to do...next month. I think Donald Trump still has my landline number only and he may be calling soon to tell me he's getting ready to deposit $100,000,000 in my bank account, and I don't want him to think he can't reach me to tell me. First of all, as a professional speaker, I travel a lot. That means you can't reach me on my landline most of the time anyway. Imagine all those carpet cleaning services I've missed because I was in California. You should consider how much time you talk on your mobile phone. Ok, so, you talk a lot. (I get paid to do it.) I can talk forever, so I called my cell phone service provider and it was only $10 per month more to upgrade to unlimited minutes. That would be unlimited minutes ANYTIME, ALL THE TIME. How cool is that? No more telling people I have to run because I'm running out of cell phone minutes. That $10 is a whole lot less expensive than my landline plus the message service for which I pay extra. Another reason unlimited minutes are great is because you use more minutes than you think; you're charged for both the calls you place as well as incoming ones. According to the Bureau of Labor Statistics, spending on cell phones exceeded landline in 2006 and well surpassed it in 2007 (the last year for which the statistics are available.) You can see by the chart spending on cell phones is an upward trend. I have no clue why the Bureau of Labor Statistics is tracking cell phone usage, but they are. Do you have a landline? Do you think you could live without it and save some bucks?